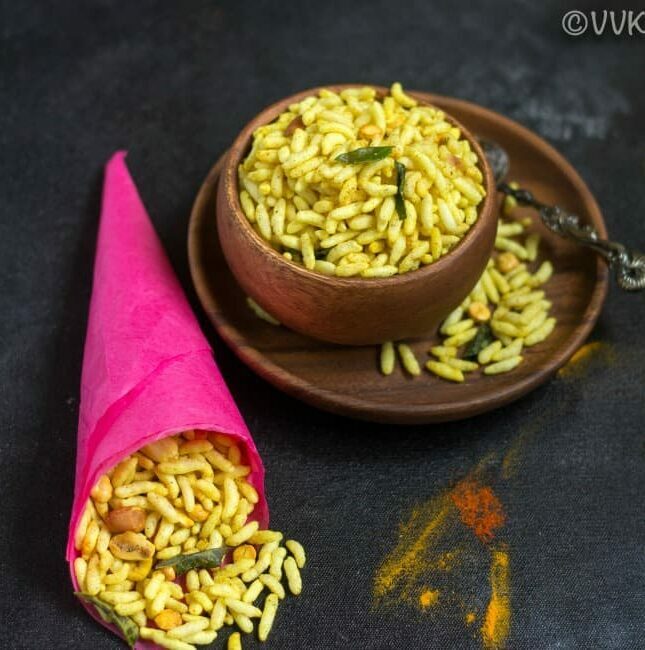 Puffed rice is quite popular in India, and it is used to make a lot of snacks, especially the street side snacks. Be it for bhelpuri or for jhalmuri we need this puffed rice. 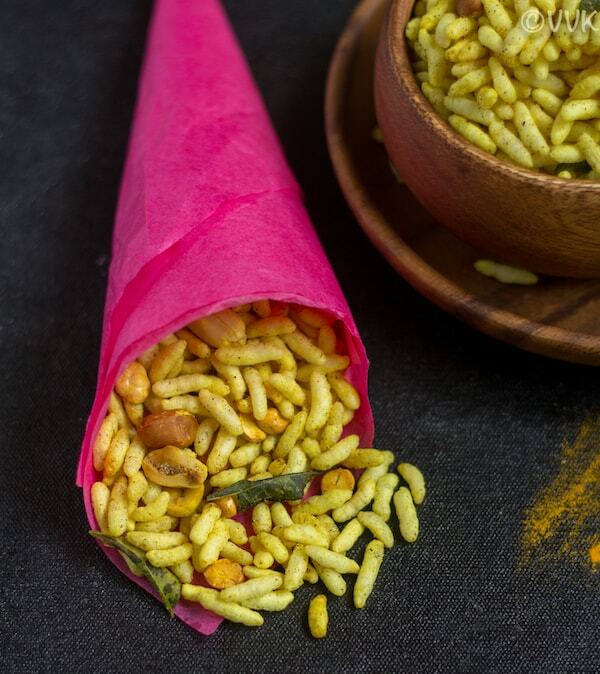 This masala pori is one such snack made with puffed rice and spices. 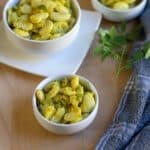 You can make this chatpata snack in less than 20 minutes. 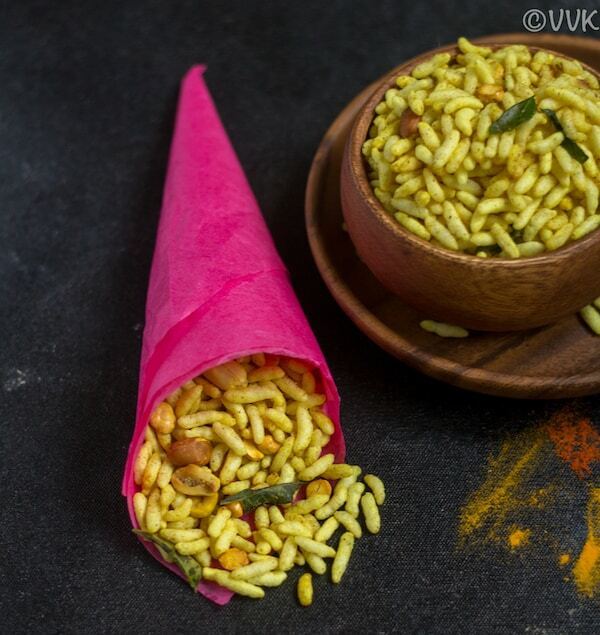 In Tamil, we call this puffed rice as pori, and in Hindi, we call it as murmura. As wiki says, puffed rice is prepared by heating rice kernels under high pressure in the presence of steam. But the preparation method varies according to the region. Now you know why I added roasted gram in my masala pori too. As much as I like my raw puffed rice, I love this spicy roasted puffed rice also. You can make this masala pori with your favorite spice combination. I went with the simple chaat masala, but you can spice it up with red chili powder, sambar powder, rasam powder, smoked paprika, chipotle chili, Za’atar spice mix and what not? The list goes on. 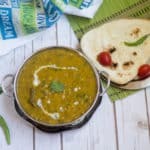 Instead of chaat masala, you can include pani puri masala or the jal jeera masala for a nice tangy flavor. Whatever spice you add, try not to skip the peanuts and the roasted gram/daliya. Now without any further ado, here is the recipe video and the written recipe. Please don’t forget to subscribe to my channel. 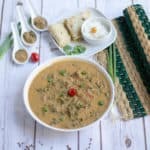 And don’t forget to check out the roasted phool makhana recipe. In a pan, heat the coconut oil. When it is hot, reduce the heat and add the curry leaves, roasted gram, and peanuts. Roast it for 30 seconds. Then add the chaat masala and turmeric powder and mix. Fry for 30 seconds and then add the puffed rice. Gently stir to coat the masala evenly. Then add the salt. Now roast it over medium heat for 3 to 4 minutes. After four minutes, try tasting the puffed rice and if its crispy turn off the heat, if not roast for a couple more minutes. Allow it cool for a bit and store it in an air-tight container. Serve it with tea or coffee or relish it as a snack to curb that hunger pangs. You can use your favorite combination of spices as mentioned above. Make sure you are roasting the puffed rice on low flame to avoid the burning. Also, do not cook for more than five/six minutes. 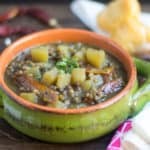 PS: If you try this masala pori, please don’t forget to comment and rate this recipe. Also, please check out my videos and do subscribe to my YouTube channel. 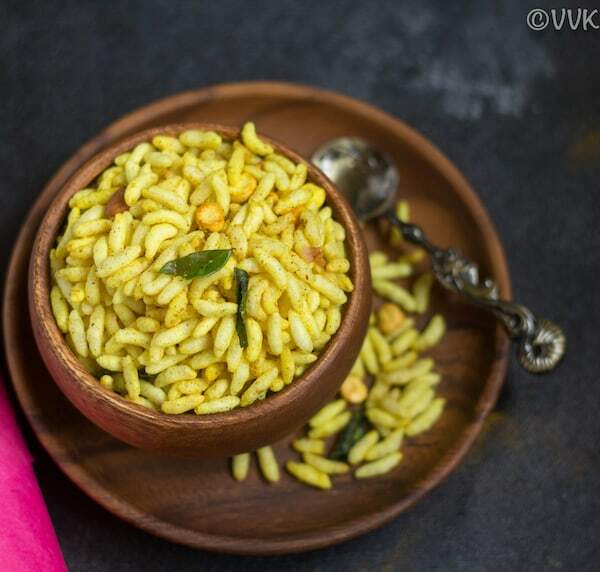 Masala Pori - A quick and an easy snack prepared with puffed rice and simple spices to curb that hunger pangs. It is an excellent side for your tea/coffee. Update Notes: This recipe was originally posted in 2014 but now updated with new photos and video. I love making pori recipes with coconut oil. They turn out to be so flavourful right? Ultimate snack that I can never get tired of eating along with kaapi. I make this too, with garlic and some red chilli powder thrown in. wow thats an easy to make and delicious jhur mure :) I wud love to munch them right away !! 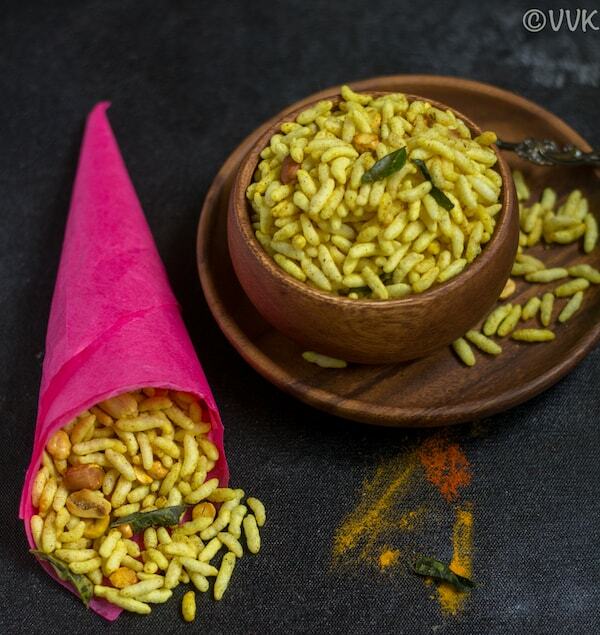 we often make this for evening snack..very tasty one..
Never get bored of this crispy puffed rice, love it to the core. We make rice puffs chivda too. It is the most popular of all chivdas in my house. Quick simple recipe.